It’s all too common nowadays for game developers to release games which are either half completed or not representative of what they originally promised us. 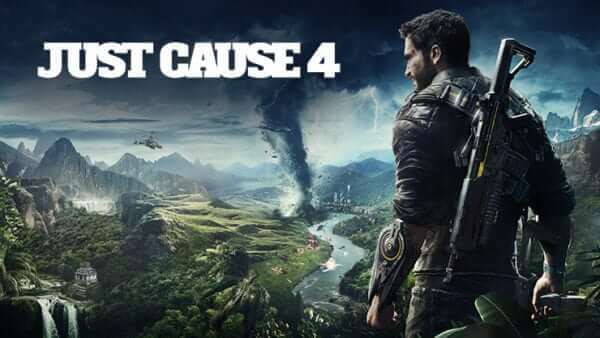 In Square Enix’s teaser and launch trailers for Just Cause 4, we were promised revolutionary graphics and a host of other advanced features. Sadly, the end result is a complete mess, with abysmal graphics and shoddy PC controls that you can’t even re-map. This inability to re-map movement keys is a game killer as far as I’m concerned. I was prepared to wait a while until the mythical day one patch was released, but with Square Enix and Avalanche Studios not even making their presence felt on the Steam forums, I refunded the game and got my $60 back. This kind of sloppy game design is inexcusable these days, in spite of the fact that most games are designed for consoles and later ported quite successfully to PC (in most cases). 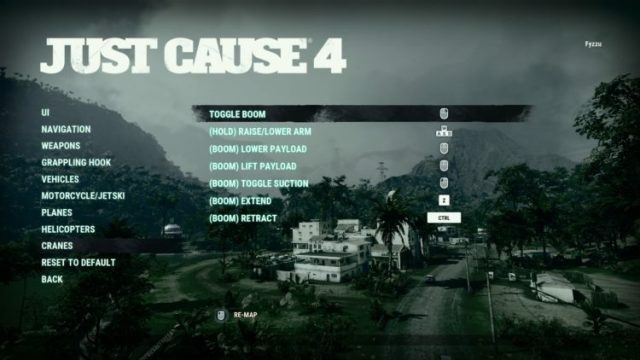 In fact, the game’s predecessor, Just Cause 3 suffered from a bug where, if you remapped the keys in-game, the actual configuration text file would revert to default settings, forcing us all to edit that file outside the game and keep it as a permanent backup. 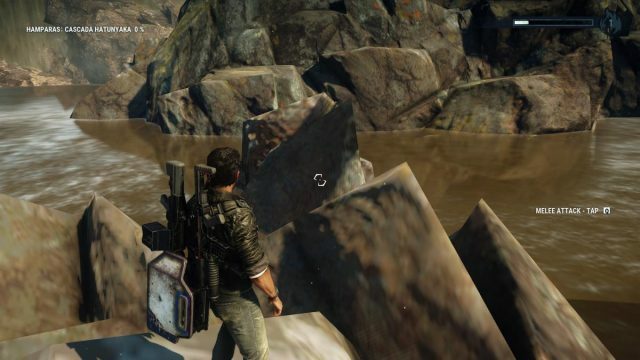 This bug was never fixed as far as I know, so it came as no huge surprise to discover similar limitations in Just Cause 4. In a modern PC game, when a character swims through the water, there’s a wake and ripples, just like in real life. 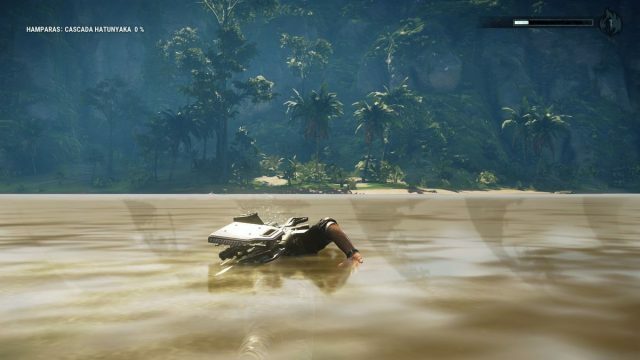 Not so in Just Cause 4, where our hero struggles to make his way across a river as if he’s wading through muck that practically doesn’t exist. Simply awful! I can honestly say that I haven’t seen triangles like this since the days of Tomb Raider I. Most in-game menus present a UI (user interface) that is easy to navigate, where you would normally hit ESC to leave the menu and other keys such as ENTER to apply any changes. Not so here. Avalanche opted for a series of number keys and buried APPLY and BACK within the sub-menus, resulting in situations where you couldn’t actually escape from the UI itself in order to play the game. I reported all these faults to both the Square Enix technical support forum (which is uninhabited) and the Steam forums, but as expected, didn’t receive a reply. 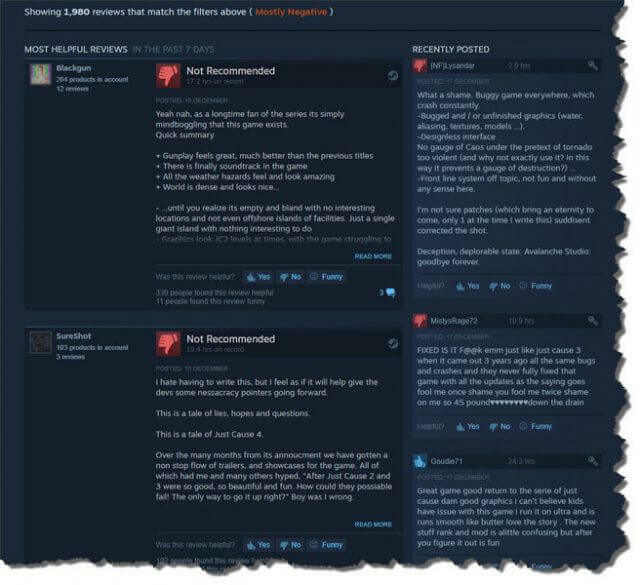 Unsurprisingly, the game has received some appalling reviews, with the Steam aggregate being mostly negative. It’s also worth reading the Steam forums here for up-to-date reactions to patches and any other related problems. I don’t normally buy a game on day one, but the times I have done so were not disappointing, at least to this extent. I normally follow the reviews and then check back to see if any bugs have been fixed, so in this case, it’s a lesson learned. 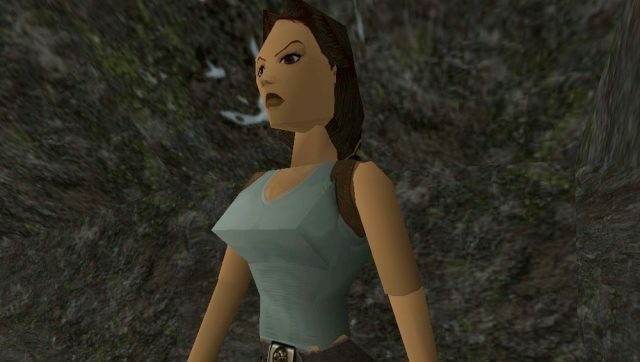 But these are not the only problems suffered by those who paid good money for the game. There are also hundreds of reports of the game either not starting, or constantly crashing. Frankly, it’s time game publishers and developers realised that they cannot release games in this state and that their customers are not simply beta testers or guinea pigs. They cannot, or at least should not, release games in the hope that they can be patched up later and all their sins will be forgiven. People don’t forget first impressions and sadly, in this day and age, there are no second chances. Unless you can pull a rabbit out of the hat, which is what Avalanche is going to need to do, they will not be able to restore their reputation.